Q: I know you’re not going to be happy, but I need your guidance again. After my mom died, I had to make a decision about her house and mine. Both homes are in located in Georgia, somewhat north of Atlanta. One of Mom’s dear friends is also a real estate agent. Instead of going with a personal friend (a discount broker and her team), I let my mom’s friend put my house on the market and the plan was I’d fix my home and sell it, and then have money to sell my mom’s house. My home has been fixed up for a year and we’ve only had four showings. My mom’s home is next door to mine. I’d hate to fire my mom’s friend but I’m at my wit’s end. I thought we would have had more showings by now. So, unless there is something wrong with the way my house looks, which I don’t know, or if there is a problem with the way the property is listed, I can only think that my mom’s friend is completely incompetent. My problem is that I can’t afford to keep up both houses with no income from them. I wrote you last year and you told me to rent both of them. Should I do that? My mom’s house needs some care and about $10,000 in upgrades and improvements. Another friend advised me to sell both homes immediately and invest the money in a mutual fund for my retirement. I did receive an offer from a company for my home but the offer is about 30 percent under market value. A: It isn’t often that we hear from people who solicit our advice, don’t follow it, and then want to know what to do next. So, let’s walk through where you are now, which is decidedly worse financially than where you were a year ago. First, I agree with the advice you received from your friend. Sell these properties as quickly as possible and put the cash into long-term investments for your retirement someday. If we remember correctly from last year, you’ll probably net out $750,000 or more and that’ll increase nicely over the decades in cheap index mutual funds (such as those offered by Vanguard). Next, you should have never hired a friend of yours or your mom’s. We’re not sure you should hire the discount broker either because she is also a friend; and, as you’ve learned, it’s hard to hire friends because if things don’t work out, your friendship may not either. But if you do hire that discount broker, you should give her a short 90-day listing and have her put in writing what her responsibilities are and what the total costs will be to sell your properties. From the listing information you sent us, we can see that there are a fair number of homes in your area for sale and many of them are right in your price range. There are also some new construction homes not far from your home that are priced just a tad above yours. And there are homes that are considerably bigger than yours for around your price point. These days, for your home to sell, the prospective buyers must look at your listing and want to come see your house. The photos need to appeal to a broad range of buyers. For this appeal to work, your home must look great. Your home may need work, but the home must still show great. When we looked at the photos on your listing, we noticed that many rooms had artwork that might only appeal to some people. You have furniture, plants and personal items all over the place. Much of the furniture makes the rooms look or appear small. The artwork detracts the viewer from looking at the room and the artwork draws the viewer to the artwork, rather than the rooms. While you might love your taste in art, furniture, books and shelving items, you might want to store all those items (or have a company do a huge estate sale), take new photos that emphasize the amenities of the property, the size of the rooms, the curb appeal and other items that will appeal to many buyers. Your home already has neutral colors on the walls, but you now need to go through each room and make sure each room shows as best as they can. If your competition is new construction homes, buyers will have a choice between spending $50,000 and getting something new or buying your home. 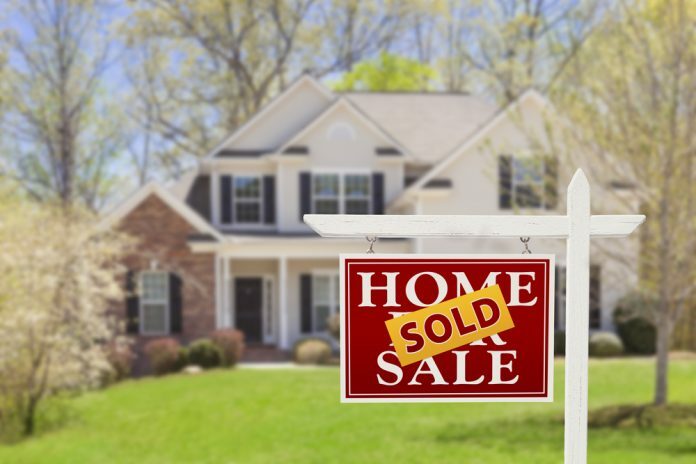 It seems that buyers are looking elsewhere; it may be your competition (the other larger homes that are priced around yours), or it may be newly built homes. In either case, you’ll need to reevaluate your strategy, make sure your home looks the best it can, and make sure your pricing is competitive or better than the other homes out there. As an aside, we do hear from buyers frequently who complain that their agents are incompetent when they refuse to follow the broker’s advice and stage their home for sale. So, let’s be clear: Today’s buyers will pay top dollar only if the property appear to be in mint condition. They want to see fresh, neutral paint, new or like-new carpet, and very little in the way of furniture and personal items. If you haven’t decluttered your home, fixed the obvious things, repainted and recarpeted, then you are part of the reason your home hasn’t sold.